It’s summertime and it seems that time is fading fast. Soon it will be fall and school will be back underway. We are excited to have started shooting our 2019 Seniors. Summer is an amazing time to begin before the activities begin and the focus becomes graduation and college. 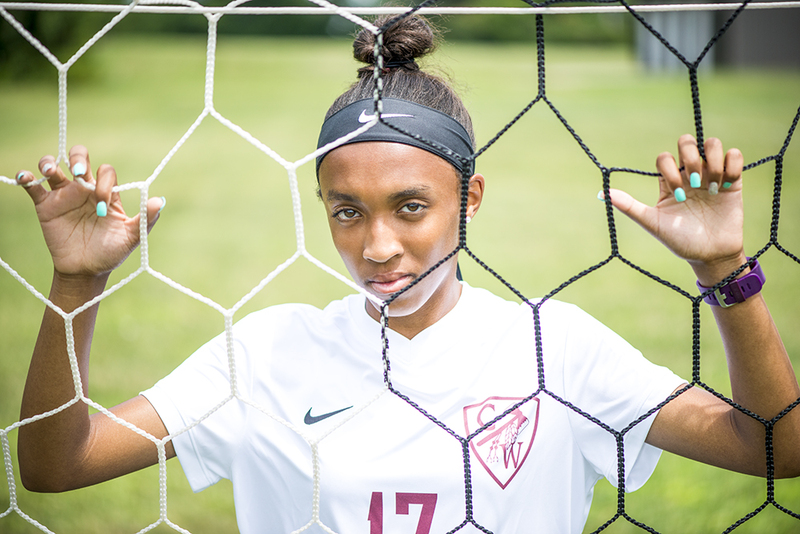 Senior pictures capture the ending of a season and the beginning of a new season. We make this process fun and exciting. 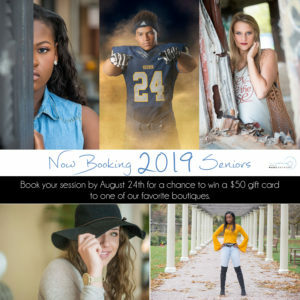 New for 2019 we have introduced an Extreme Senior session that includes a shirt and accessory (hat, scarf, glasses, etc.) all hand picked by our resident stylist. We also create styling boards to help match up styles and colors to create the best looks for your senior shoot. It’s about more than just the pictures its an experience. Picking the ideal location is such a critical part of getting images that fit your senior. We have a survey that helps us identify who they are and what environment would work best. From there, we provide options that will work best. We love beautiful parks, river walkways, grungy alleys, the beach, city streets and we even do destination shoots (yes we will travel to awesome locations). For the ladies, we work with the most amazing makeup artists in the area. They are super dope and know the right products to use for photo shoots and what not to use. For instance, many products with SPF will provide flashback (not desired). Silicone products look amazing. They are trained and constantly learning even more to provide the best of experiences. Makeup is not mandatory, but every artist that we work with knows how to create a natural look with enhanced color if desired, or a full out glamour look as well. And the best part, they are all super fun to work with. A few of my absolute favorites are Flawless Beauty by Nicole, Enhanced Glamour and StaceyFACES. We love it when your senior includes props that help tell the story of who they are! Athlete? We create sportraits that showcase them as an athlete. Musician? Bring instruments and let’s create magic while they showcase their talent. Avid reader? Scientist? Dancer? Whatever it is we can help bring their hobbies to life as we capture the essence of your senior. 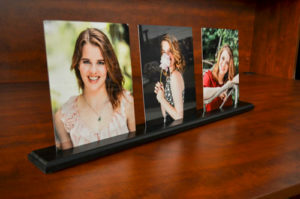 We create images that will look amazing on the walls of your home, on the coffee table and in your office at work, because soon they will be off beginning a new chapter of life and you will want to remember this time forever. Our efforts are intentional and we present products that can be shared and passed down from generation to generation. Our selection includes a variety of senior books, an image box, large Metal, Canvas or Framed Prints and gift options for the family. We also have options for senior graduation announcements. 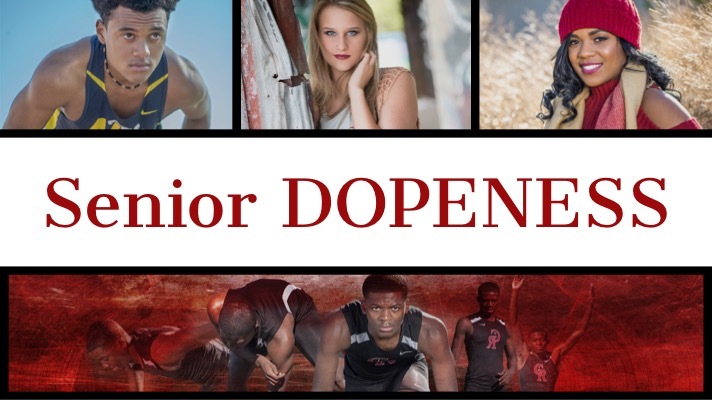 We’d love to speak with you about an experience for your 2019 Senior. It’s going to be a great year and we would love to capture the essence of your amazing student. Click HERE to begin the process or call us to schedule an in-person consultation. Also, check out our current giveaway opportunity. We are excited to offer a gift card to a few of our favorite boutiques. Kiwi’s Boutique is an amazing shop that offers cute and trendy clothing and accessories. You can’t go wrong with anything they have. We also like Bella-Gia Boutique. They have a great selection and offer so many options for homecoming and prom. We love their selection of accessories as well.